UPDATE (8/15) - IF YOU ARE A NON-ASUG MEMBER AND WISH TO ATTEND PLEASE SEND US AN EMAIL AT GURUS@EVERYTHINGXCELSIUS.COM BEFORE MONDAY (8/16) AT 10AM EST AND WE WILL MAKE SURE YOU ARE INCLUDED. THANKS TO ASUG FOR RESPONDING TO THE COMMUNITY! Sorry for the late notice, but I wanted to be sure to invite you to a webinar that is being hosted by Ryan Goodman and I on Monday (08/16/10) entitled ‘Dashboard Xtreme Makeover’. I was not going to blog about this, but now that we’ve finalized the content I was so excited I had to give you a sneak peek. It’s the ‘never before seen stuff’ that Gurus do. Webinar History – In 2008 Ryan hosted Part I of this same series. 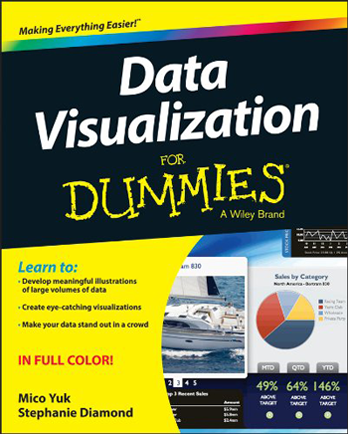 Due its popularity it was voted as the overall #2 webinar by the BusinessObjects community. For Part 2 we wanted to present a simple process that can be used by just about anyone. The results? For the first time ever we are going to present a ‘5 Step Process to Design or Re-design your Dashboards’. Note, we did not say GUIDELINES but an actual easy to follow PROCESS. Below are the high level steps. You’ll have to attend for more details! See you there. NOTE: You must be an ASUG registered member to attend (remember all former GBN customers can join ASUG for free for a limitd time). 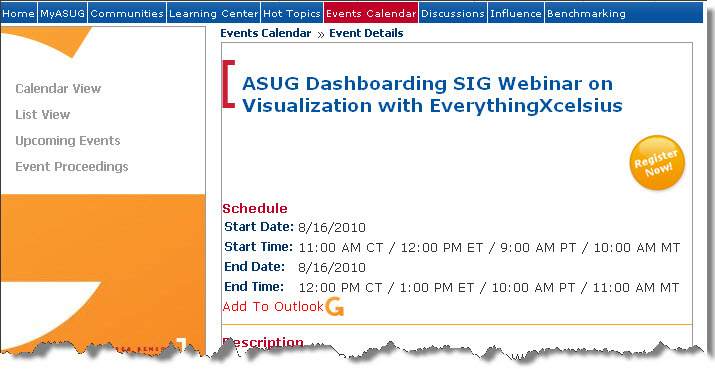 You must login to ASUG.com first. Click here to register.